Goodwood has been announced as the new venue for The Supercar Event. 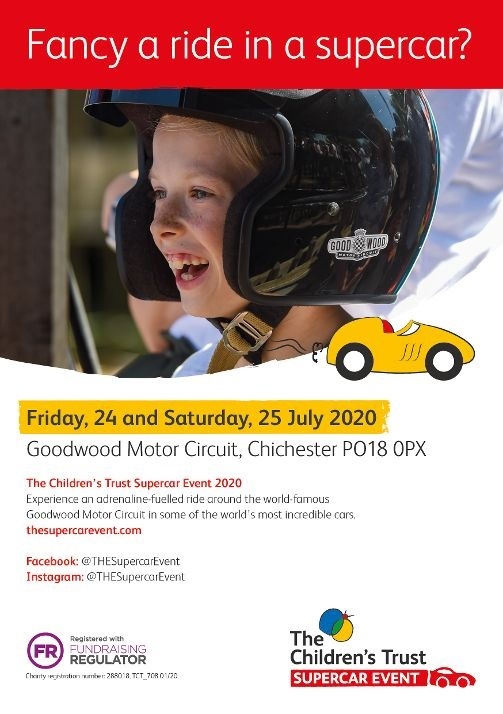 It will offer once-in-a-lifetime passenger rides in some of the worlds most iconic supercars from just �20, raising money for The Childrens Trust charity, helping children with brain injury. The event offers the chance to experience exhilarating rides in world-class supercars, as well as a wide range of fun filled attractions and entertainment for the whole family to enjoy.